Peter Cottontail made the rounds last night, and while I haven't found it yet, I'm pretty sure there's a basket around here somewhere for me. 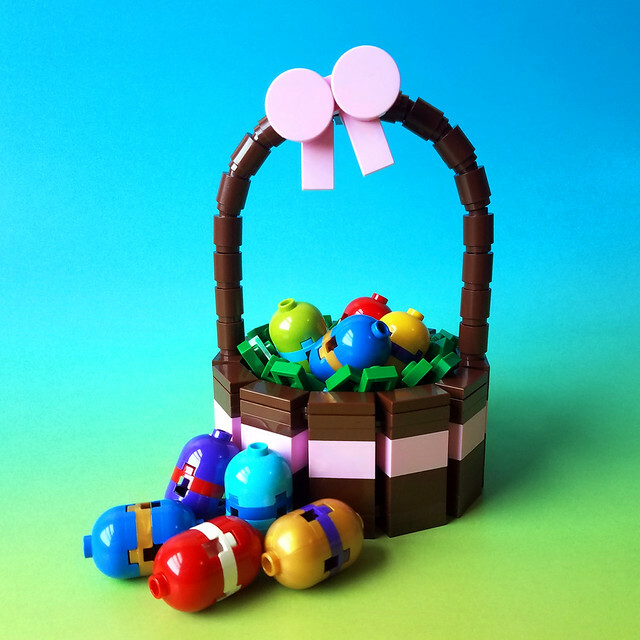 Hopefully yours is filled with all your favorite treats and plastic bricks, not unlike this one from builder cmaddison. Happy Easter everybody!